When Bashir Rahemtulla opened his forensic accounting business 16 years ago, he knew he had to pitch his company, Intelysis Corp., as a global firm, ready to move from one country to the next at a moment’s notice. It wasn’t easy, he recalls. Much of the time, as soon as a company called and asked him to investigate a case of potential fraud, he or one of his associates would have to get on a plane and be in that country in less than 24 hours. Why the need for speed? 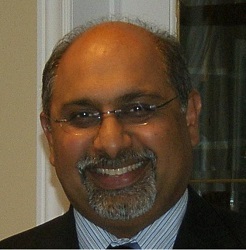 As a small business based in Toronto, Rahemtulla says Intelysis had to be more nimble than its larger competitors, which often have offices in several countries. Still, the costs of travel quickly added up. Sixteen years ago, Rahemtulla would have had to spend at least a few days to travel to a company’s office and physically go through documents of evidence. But now, he says that’s no longer necessary, thanks to all the IT innovations small businesses can use to save both time and money. (Image provided). Bashir Rahemtulla, CEO and founder of Intelysis Corp.
“I just did a file six months ago for a client in New Jersey who knew that I was here in Toronto doing the work for them. And they would PDF and send me all the documents they needed, and I would analyze them and get them the report. And I didn’t need to be there,” he says. For small businesses such as Intelysis, relying on IT services to do business has become a necessity. That isn’t just because of the convenience factor – without these advances in technology, small to mid-sized businesses (SMBs) would be unable to grow. For many of them, it’s actually been a huge driver of their success, especially as they make the leap into emerging markets, where there is less competition and more opportunity. For example, when Intelysis employees are abroad, they use local prepaid phones to make calls and send messages. They’ve also invested in high speed scanners, which fit neatly into briefcases and can be used to quickly scan files while on deadline, which is much more efficient than spending the weekend at a photocopier. Employees make good use of their laptops, taking advantage of cloud storage services such as Dropbox to transfer files to clients. However, they encrypt anything sensitive, with Rahemtulla and a client using previously agreed-upon passwords to decrypt the files, changing them regularly as a security precaution. And whenever Rahemtulla travels, he packs just three devices – an Android phone, an iPad, and a Sony Vaio laptop – to keep him connected to all of his Gmail and Microsoft Outlook emails and calendars, he says. Customers are also beginning to trust SMBs that heavily depend on technology to do business, Rahemtulla says. When Intelysis first moved into the U.S. and Britain, he sensed his clients had more confidence in his company when he opened offices in both countries. Today, that’s no longer an expectation. Intelysis closed those offices and does much of its business virtually now. Other companies, such as Waterloo, Ont.-based Sandvine Inc., have also been making use of the IT services out there to grow their business. Founded in 2001, Sandvine is now in 85 countries around the world, often branching out to emerging markets. 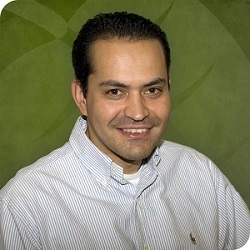 Carlos Hernandez, vice-president of sales for Latin America and Mexico, has been working at Sandvine for about seven years. He says some of Sandvine’s growth is due to using IT services. (Image provided). Carlos Hernandez, vice-president of Latin American sales at Sandvine. When Hernandez travels through Latin America, he uses cloud-based customer relationship management software to keep track of his clients. Like Intelysis, Sandvine employees also use Dropbox to store and share files. That frees up space in Hernandez’ suitcase as he no longer packs a laptop. Instead, he simply brings a tablet, as much of his data is stored in the cloud. And once he’s developed a strong relationship with his customers, he’s not shy about using popular messaging service WhatsApp to keep in constant contact with them. Both Rahemtulla and Hernandez told their stories to the authors of a Conference Board of Canada report released at the end of July. It looked at five Canadian SMBs, as well as two British companies, outlining the best practices among businesses looking to set up shop overseas in high-risk countries such as Brazil, India, China, and Russia. The common thread for many of these companies is that as smaller businesses, they’re moving into high-risk markets to attract local clients that are often very savvy and are looking for top-notch products and services, says Rebecca Reuber, one of the authors of the report. That’s why it’s so important for incoming SMBs to not only offer a solid, time-tested product, but to also be prepared to do research on the markets they’re entering. (Image: Rotman School of Management). 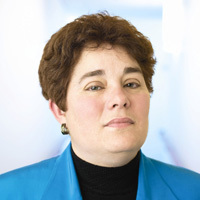 Rebecca Reuber, professor of strategic management at the Rotman School of Management. “It would be a mistake to think buyers in these markets are naïve. Lots of buyers in those markets are giants in their own right, multi-national giants, and they understand how the game is played and they’re looking for the best technology in the world,” says Reuber, a professor of strategic management with the Rotman School of Management at the University of Toronto. Her work is grounded in researching business growth strategies and foreign market entry. “Some of these customers have firms showing up on their doorsteps everyday, saying they hear Brazil is a high-growth market and they want to do business. But they don’t know anything about the language, the politics, the culture. They just get on a plane and think that business is going to fall into their lap,” she says. Reuber advises SMBs entering new countries to position themselves as global players. She also says they should try partnering with a young, local firm in the same field. They can offer advice and expertise to these smaller companies, helping them to unseat established competitors and approach major customers. Smaller firms also have a handle on their country’s culture and ways of doing business, she adds. In Rahemtulla’s case, he says he hasn’t needed to partner with local companies, especially as overseas customers seem to trust his foreign expertise over that of his local competitors. But he agrees that it’s important to get to know local culture. When Intelysis first entered the Republic of Trinidad and Tobago nine years ago, Rahemtulla and his business partner rented a two-bedroom apartment. They could have opted for a hotel, but they wanted to show interest in the local people and pick up some of their language, he says. Intelysis also offered to train customers’ employees in some of their forensic accounting techniques. And while the Web also makes it possible for Rahemtulla to be able to quickly outsource work to other fraud investigators in the U.S., Brazil, France, Germany, and Israel, small businesses regularly using technology must remember to put in some face time too, he says. Still, for the rest of the year, Intelysis does a lot of work on the fly and on the go, Rahemtulla says. Much of that is due to using IT services to stay technologically connected.